Pictured above are two 0.85 ounce bags of beef jerky sold by the cafeteria. “Teriyaki” and “Peppered” are two of the three flavors sold; they also happen to be equally popular, while the third flavor, “Original,” trails just a couple sales behind. At the start of the 2018-2019 school year, the cafeteria began selling beef jerky. This may strike some of you as unappetizing: not everyone wants to see “school cafeteria” and “beef jerky” in the same sentence. However, it wasn’t just your run of the mill, off-brand beef jerky: it was brand-name Jack Link’s Beef Jerky. It wasn’t even the reduced fat version, which is usually a prerequisite for cafeteria snacks. It was the same beef jerky you’d find at the customer check-out lane at your local Target… at least, so it seemed. 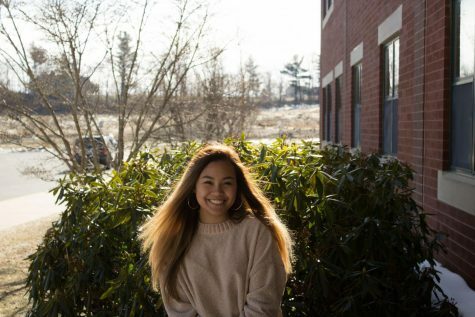 At a distance, a student can’t really tell — but up close, one realizes that the bags are significantly smaller than the Jack Link’s packs that could be found outside campus. This isn’t particularly off-putting, as the jerky consistently maintains its quality despite the smaller portions. Logically, the student would think, you simply pay less money for less jerky. Krivis entered the lunch line equipped with $5.00, but she estimated the jerky to cost around $0.50. After all, the 2.85 ounce bag at Target costs $4.00 — this averages to around 71 cents per ounce. The bags in the cafeteria are 0.85 ounces, so they should be estimated to cost about 61 cents. She chose the teriyaki bag after “meticulous consideration” and approached the cashier. She handed the cashier her fiver and waited for $4.50 to be put back into her palm. Many who have a lunch account didn’t even know how much it actually costs; all they have to do is enter their lunch number without worrying about cash payment or change. Some students estimated the bag to cost $0.25. With the average bag of jerky containing around eight pieces, the actual price is closer to $0.25 per piece than per bag. When told of the true cost, most student’s reactions were similar to Krivis’s. “That is absolutely absurd,” said Shea Philbrook ‘20. Noah Penasack ‘20, on the other hand, doesn’t find the price to be all that absurd. Although he had originally estimated the bag of jerky to cost less than $1, he generally finds most cafeteria food to be “wildly overpriced for what you’re actually getting” from an economic standpoint. Thus, the price of the high-quality-but-low-quantity beef jerky doesn’t necessarily surprise him. 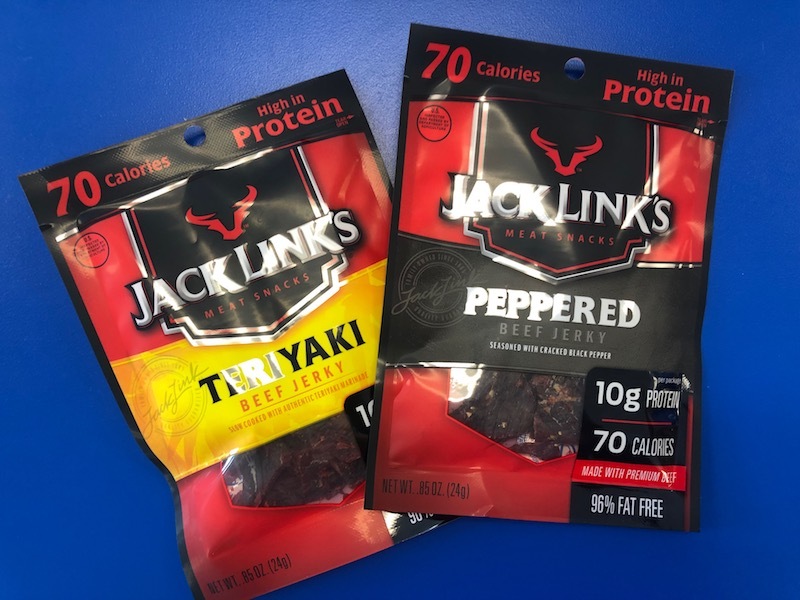 Penasack believes that if there were an alternative operation selling beef jerky for lower prices, as made possible through a more “free market” within the school, the cafeteria would be forced to also lower their prices to keep up with the competition. However, he understands that this idea is categorically against school policy. Instead, he ends up agreeing with the majority of students: the cafeteria should lower prices on the beef jerky. A change like this wouldn’t be that easy to accomplish. The federal food plan that the school is currently bound to has a very limited budget. Expenses are already very tight, so the existence of the beef jerky is truly a rare commodity. Luckily, it’s been doing well to bring in extra funds. 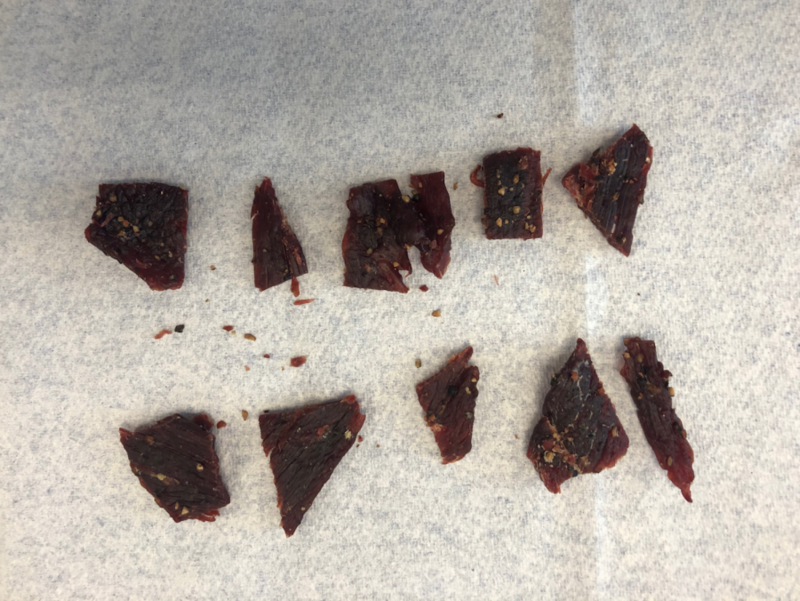 According to Megan King, who works in the cafeteria, they started selling beef jerky in part for its nutritional value: beef jerky is jam-packed with protein. It also was apparently in “high demand” through requests from students. So, in the end, the cafeteria is really profiting around $0.40 a bag, a pretty low margin considering all the food they have to pay for with an already limited budget. That being said, the so-called “issue” with the beef jerky prices isn’t really an issue at all. Despite the alleged complaints, beef jerky is still very popular and remains at the top of the snack food chain. Even Krivis, who was originally very upset about paying her two dollars, continues to buy beef jerky from the cafeteria. To properly resolve the issue, the cafeteria would have to have an increase in its budget, which would involve cutting ties with the federal food plan. Then, money for the cafeteria would have to be raised by the school, likely through a tax increase. The process may be a little too complicated to accomplish in the near future. Until then, students will continue to pay the two dollar price for beef jerky and probably whine a little bit while doing so. After all, it’s what teenagers do best.